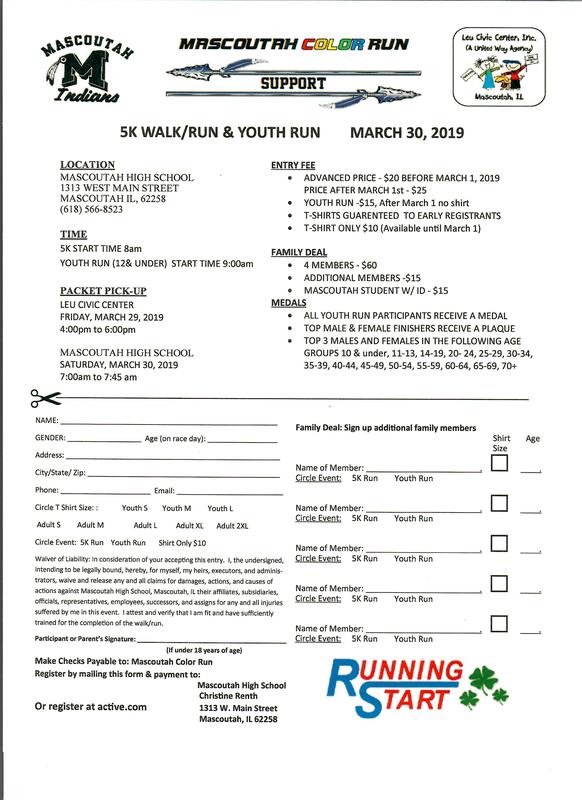 The Mascoutah 5K Run/Walk and Youth Run Will be held on Saturday, March 30 at Mascoutah High School. The cost is $20 before March 1 and $25 after. 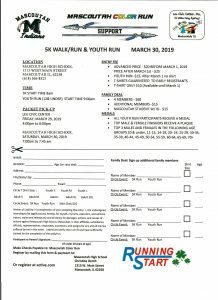 The 5K begins at 8:00 AM and the Youth Run begins at 9:00 AM. For more information see the attached flier.